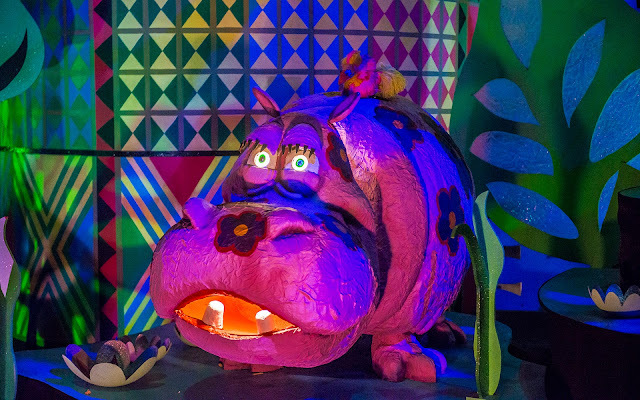 Hidden in the Africa section of It's a Small World, just past a certain recognizable warthog and regal lion, stands a beloved favorite for many people, but a rather creepy and curious creature for me. He's a pink hippo, with a similarly colorful bird resting on his back, and his eyes have the piercing strength to penetrate one's show. 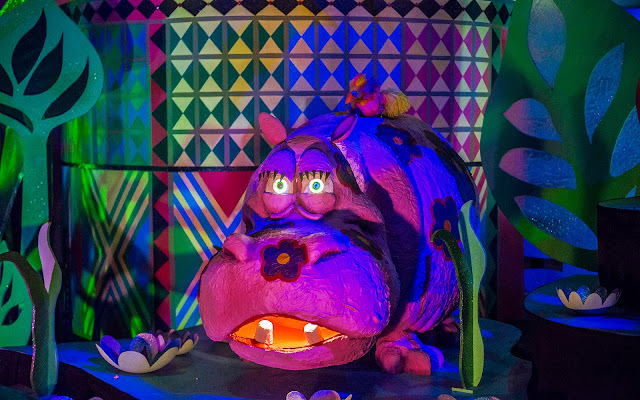 Like the Haunted Mansion busts, his gaze follows riders as they pass, peering into their minds, absorbing their consciousness. Or maybe it's not quite that dramatic, but I remember feeling weirded out the first time I ever noticed guy. 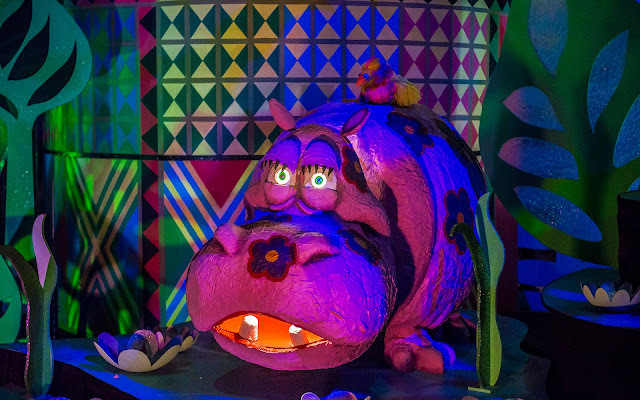 The ride might be a voyage all around the world, but the pink hippo is most certainly a major trip!